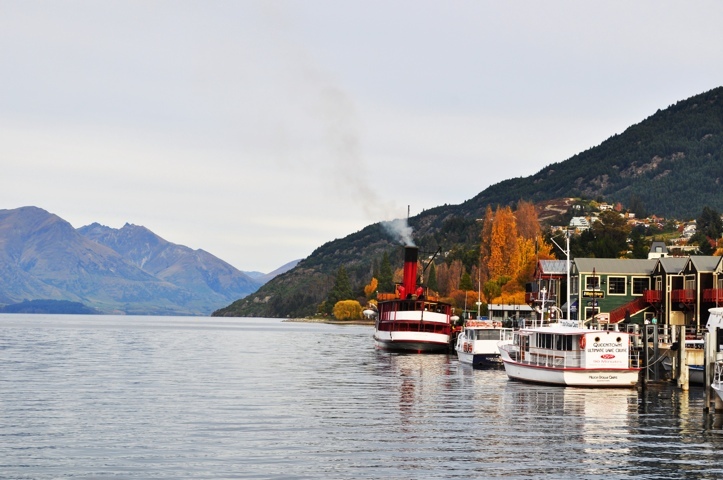 Queenstown is known as the adventure capital of New Zealand and a total party city. However, I think the fast pace of our trip is catching up with us and we’ve been having a very relaxing time here. 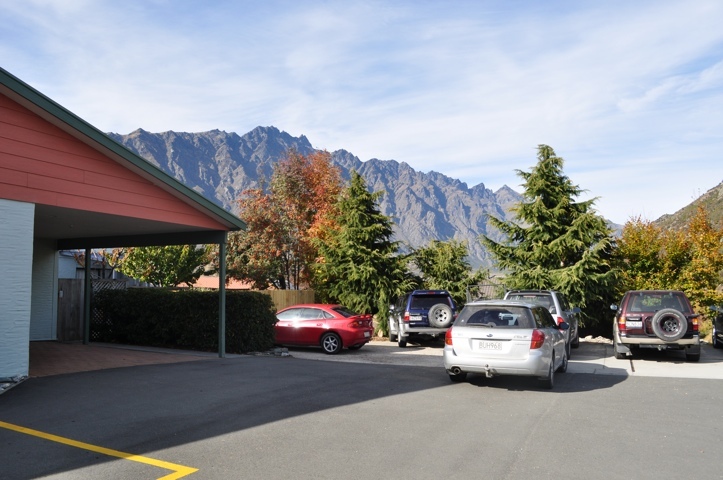 Sunday morning began with us catching the Special Talk in the tiny town of Frankton, a little outside of Queenstown. 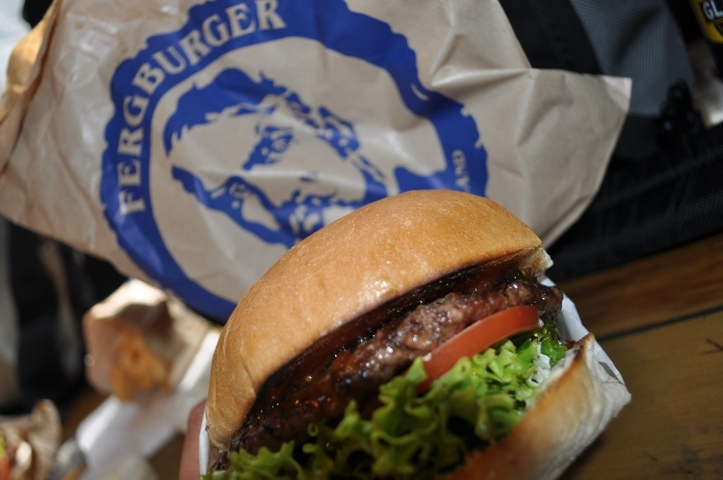 After the talk, we decided to try to infamous Fergburger. Apparently this burger place is a must for anyone visiting Queenstown, the Queenstown version of our In n Out or 5 Guys. But better. They have a basic burger of course, but they also have chicken burgers and fish burgers. I settled on the Little Lamby, which was a lamb burger with red onions, lettuce, aioli, and a mint sauce. When I got this burger, it was huge – the size of my head! It had a perfectly toasted bun, fresh lettuce, and the lamb had a perfectly charcoaled flavor. Delicious, but ridiculously filling. Another dangerously good place right downstairs from our room is Patagonia – a chocolate shop and ice creamery. I visited twice in 1 day: once for their fig & pistachio ice cream and later for their decadently rich fresh ginger hot chocolate. So good. 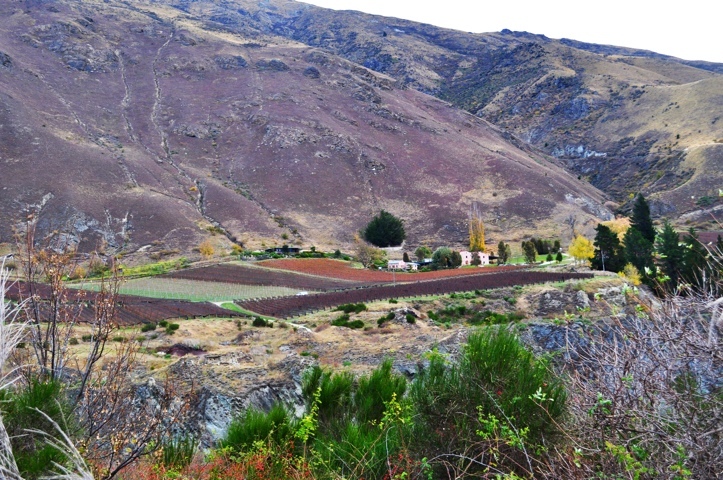 Today, after another delicious brunch, we day tripped to the tiny town of Arrowtown. 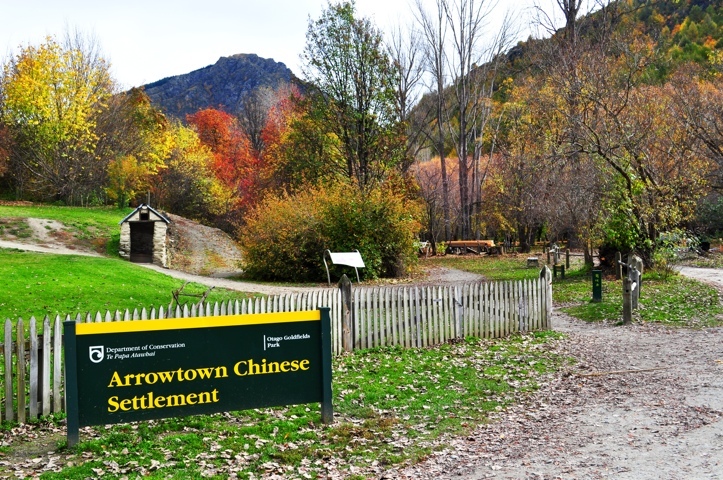 Arrowtown was a small gold mining town turned tourist town. One of the main attractions was the ruins of a Chinese settlement. 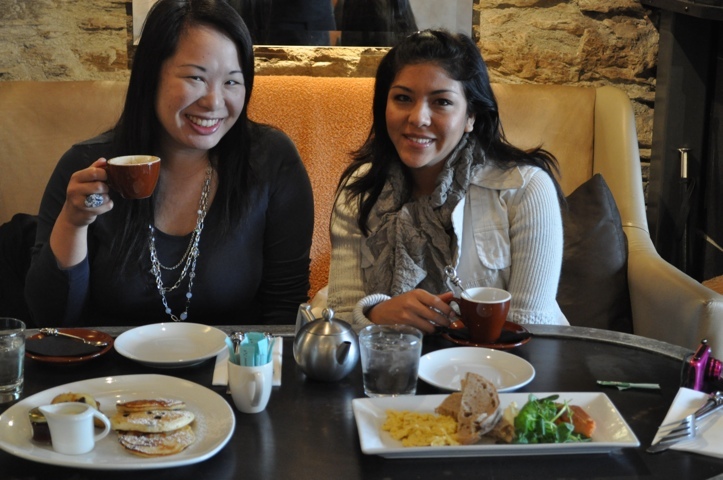 I learned that Chinese from the Guangdong province (near where my family was from) came to New Zealand in the mid 1800’s to mine for gold – very similar to how the Cantonese people settled in San Francisco and encountered some of the same obstacles, such as loneliness and prejudice. Unlike San Francisco, however, the Chinese did not stay in this area, and only these ruins remain. Very interesting. 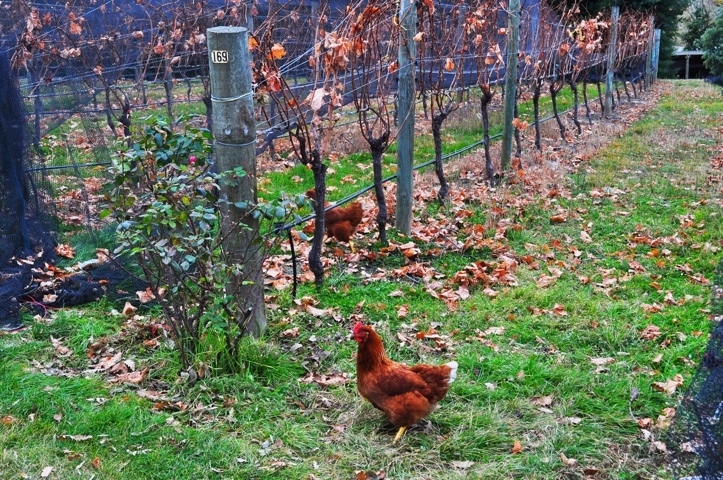 After Arrowtown, we ended doing more wine tasting. 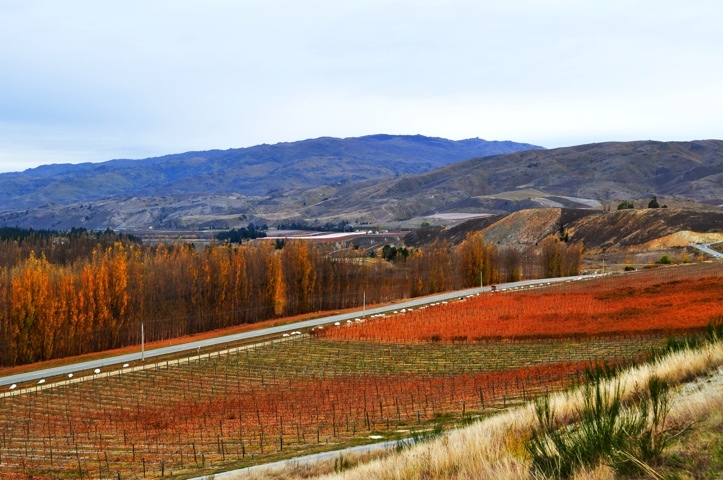 Unlike Marlborough (the previous wine region we visited), this region of Central Otago is known for their Pinot Noirs. This is a very dry region, almost desert-like in places. Thankfully, these wineries distribute in SF (at the Jug Shop – so close to home!) so I was able to resist buying any more bottles. We also visited a cheesery, and unfortunately my willpower was not able to withstand the wonderful aroma of cheese.